Join Slotomania's special Scavenger Hunt to win up to $2,000 - it's a REAL LIFE event! 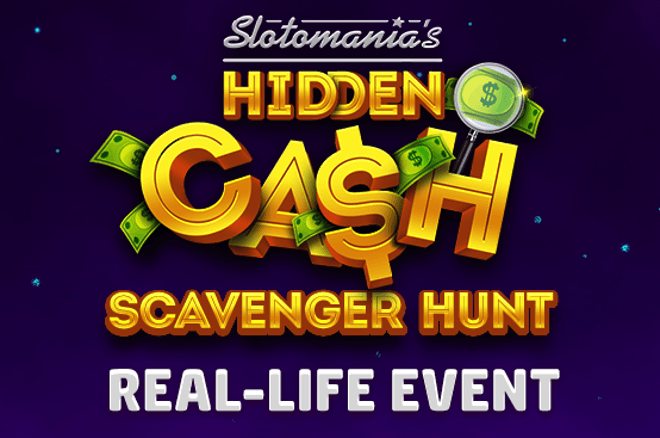 Join Slotomania's Hidden Cash Scavenger Hunt to win up to $2,000! Don't miss the new live event promoted by Slotomania, the largest (and most popular) social Casino app in the world. For the second time in history, Slotomania's players can meet each other in real life and engage in an exciting scavenger hunt where you could win up to $2,000. Organized right on the heals of the super successful event that took place at Crandon Park in Miami, Florida, the second leg of Slotomania's series of unique scavenger hunts is set to be another huge success. With a fanbase of 13 million people on Facebook alone, the love for this app will bring lots of players at Willowbranch Park with everyone ready to doing their very best to find the cash and turn the whole town in a big, open-air playground for one day. And even if you don't win — the fun of the event alone will be worth the experience. Imagine: for the first time in your life you will put a (real) face to the avatars you have seen in the app and you'll get to share tips and experiences about the very best online Slots games US players can play. Not in Jacksonville? No Problem! If you can't make it to Jacksonville today, stay tuned for the next opportunity! Download the free mobile app from here (the link works for iOS and Android) or register on this page from your desktop computer to get all the latest updates from Slotomania and to play their sensational free online games. Connect with other players from all over the world and keep an eye on the other upcoming live events. The next Hidden Cash scavenger hunt might be right around the corner! Poker Dogs Slot Machine: When Online Slots Meet Poker!